Last Pentecost on Sunday the 4th of June another edition of Super Car Sunday took place at the TT of Assen. 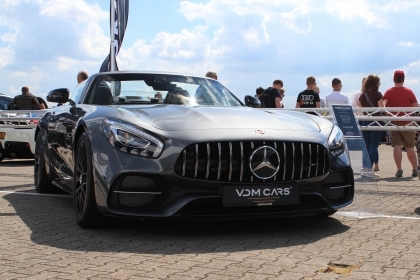 It was a great edition where supercar fans enjoyed the range of cars. 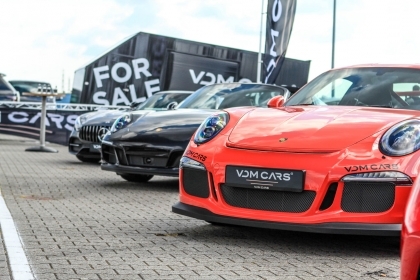 VDM was present at the stand of Cars and Business, showing some rare and special supercars, amongst others a Porsche 991 GT3 RS, Porsche 991.2 Targa 4 GTS, Porsche 991 Targa, Ferrari 488 GTB, Ferrari F12 Berlinetta, Ferrari 458 Italia, BMW Z8, BMW M4 Cabriolet, Audi RS6 C7 and a brand new Mercedes Benz AMG GTC. The stand was visited all day long by members of Cars and Business. Besides that our supercars were of interest of many visitors of Supercar Sunday. At the end of the day drivers of Vredestein have been racing on the circuit of Assen with their clients. It was a very successful day with loads of pleased people!